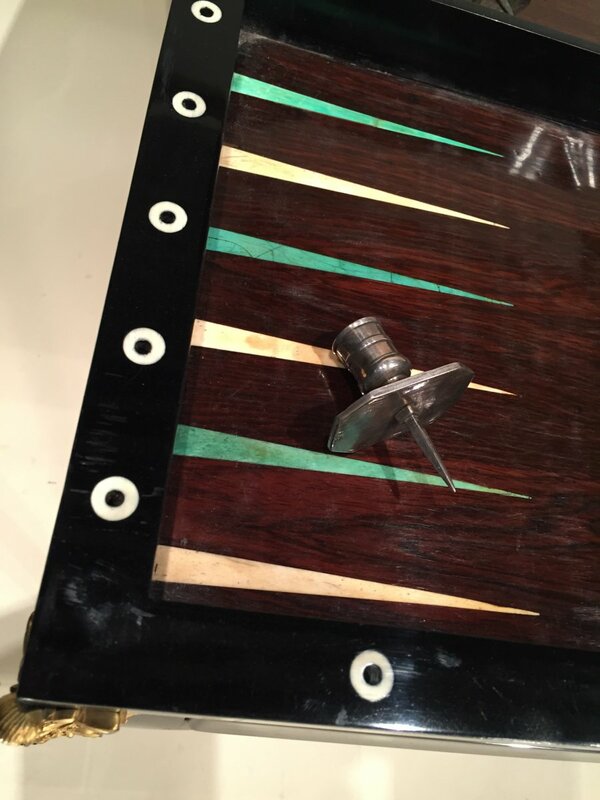 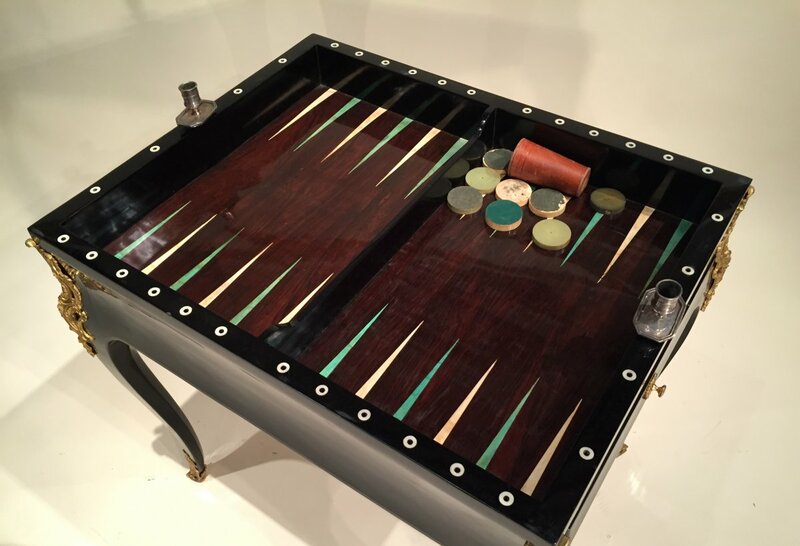 Rare table backgammon veneer black lacquered wood, ebony, rosewood, ivory and dyed bone. 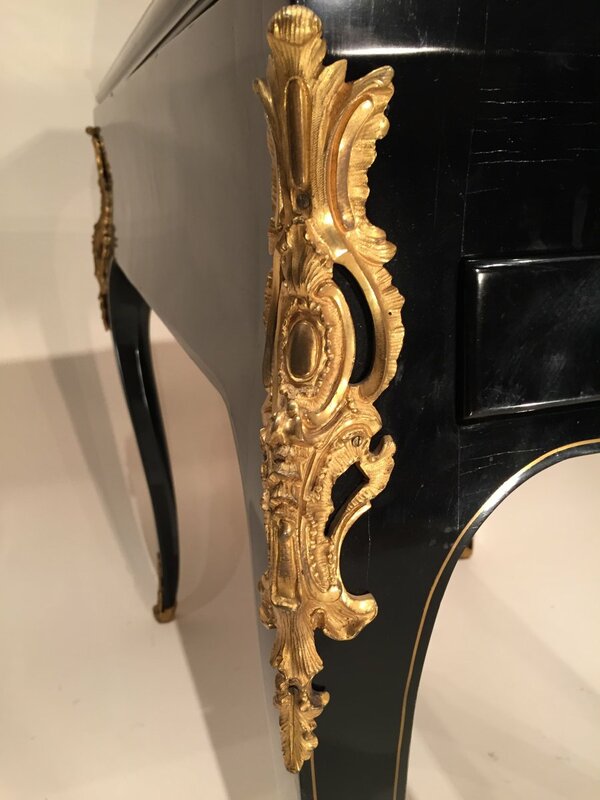 Arched feet decorated with model falls and slippers finely chiseled bronze. 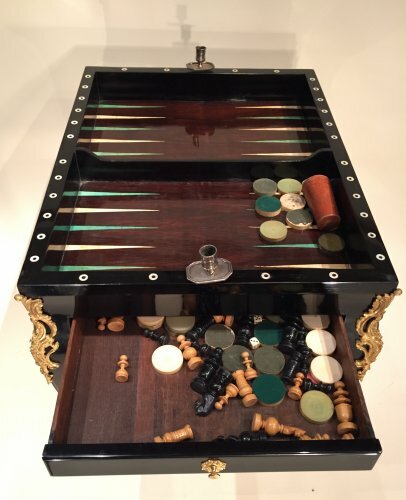 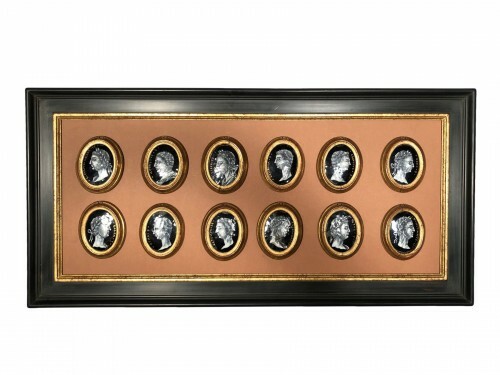 The table presents a function in his office decorated with a face morocco and another side composed of an alternating checkerboard ebony and bone, removable tray discovers a backgammon ivory and green stained bones. 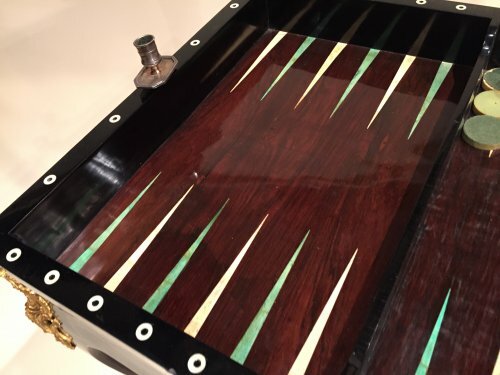 Two drawers with pull buttons on the sides. 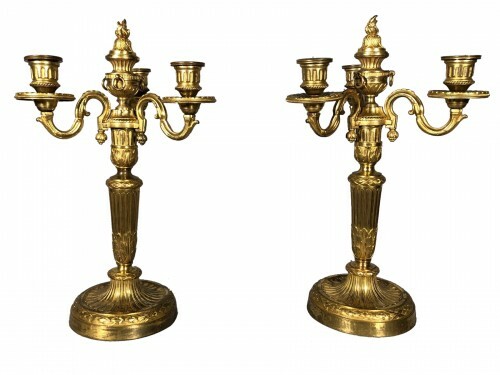 Candlesticks removable origins in silvered bronze. 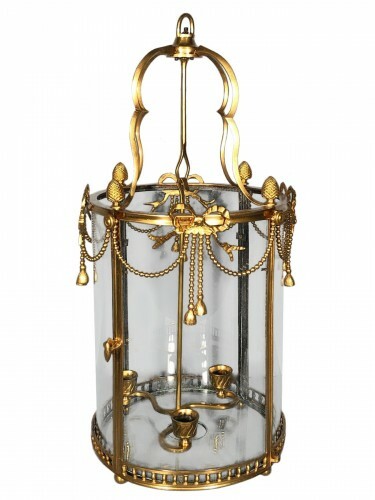 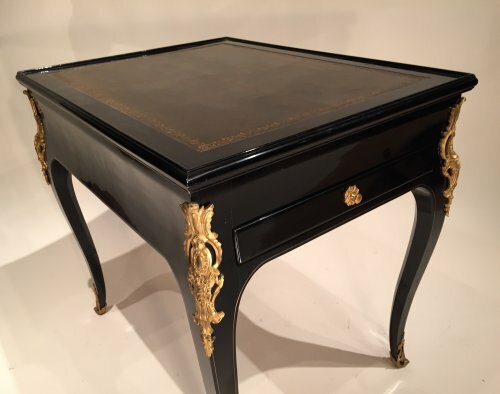 Work Parisian antique Louis XV early 1730. 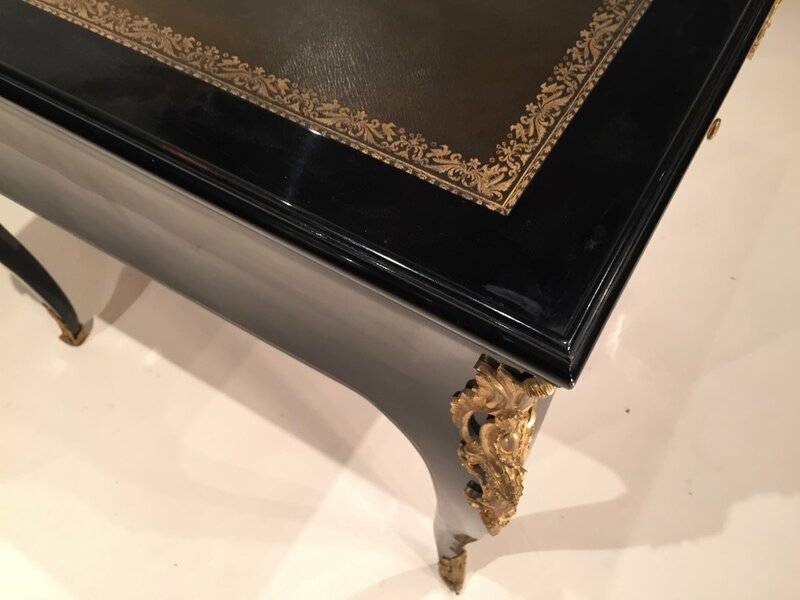 Some similar tables in lacquered wood are known to date, our table adopts a rare bronze decoration; extremely rich for the time it is very close to the models used by Pierre IV Migeon. 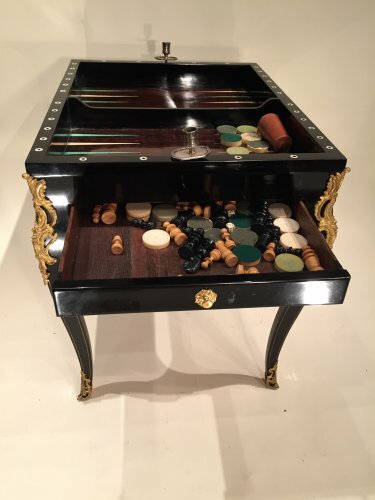 The Regent himself spends his evenings playing with a small circle of friends. 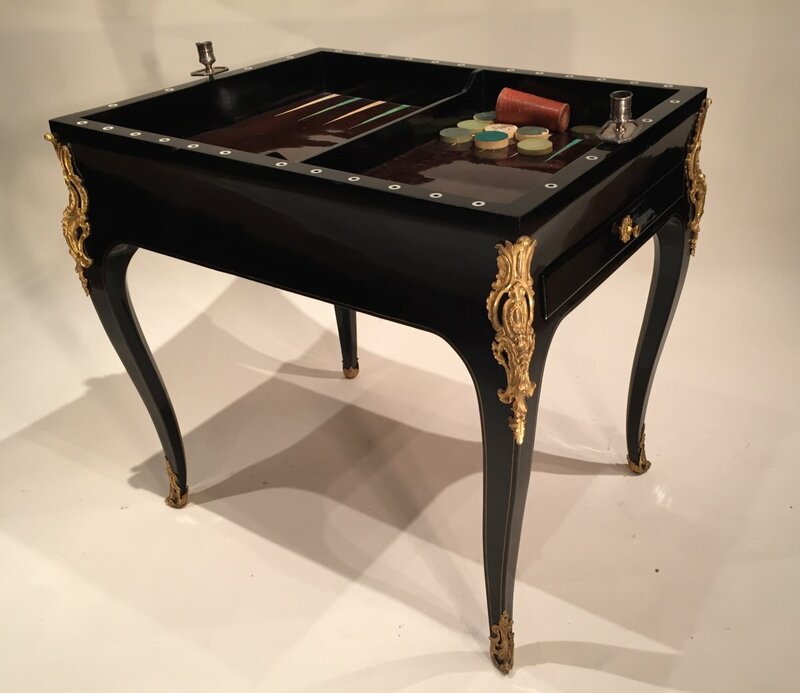 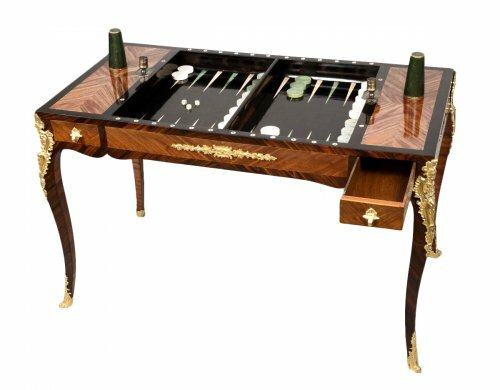 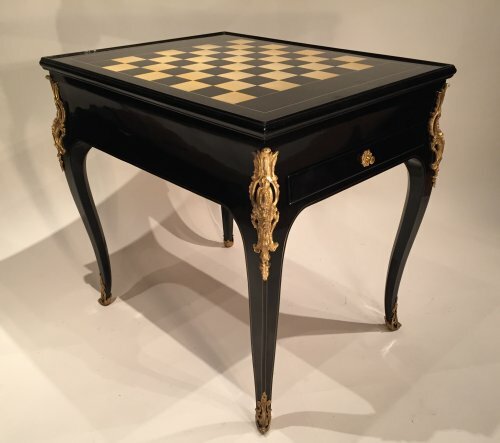 Soon there is the problem of the many game tables needed in the lounges, before the invention of the backgammon table bringing together different games on the same piece of furniture. 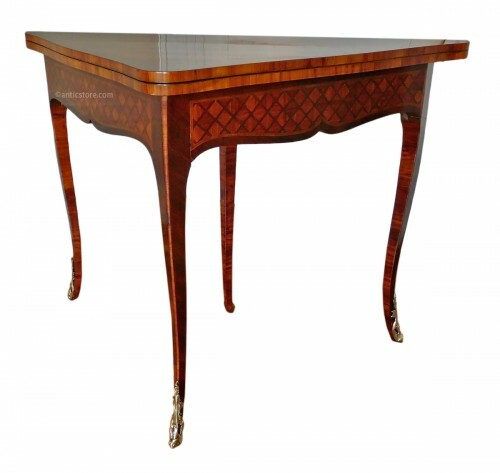 This type of table will know a great success throughout the 18th century.